‘Norah’s Veggies’ closed for the last time on Sunday 24th February. Residents of Collieston and Slains joined members of the Community Council to show their appreciation to Norah and Andy Harper for running the Farm Shop with such dedication for so many years. Mealtimes will never taste the same again! 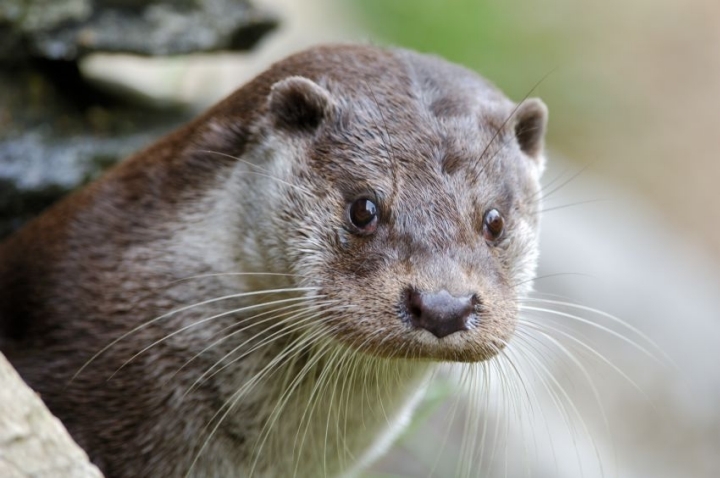 (photo: Otter) This year, the North East Scotland Biological Recording Centre (NESBReC) is asking for all records of mammals in the area for a particular project. Forvie’s list of animals also needs to be updated, so if you see a mammal anywhere in your garden, on the reserve or… in your house, please go to ‘recording’ at http://www.nesbrec.org.uk Mole hills, footprints and fur can all be recorded too! Collieston knitters are considering yarn bombing….any suggested targets? A view to the south as the pre-Christmas storm begins to die down.